Do you know how the best foods high in antioxidants can help your body and improve your overall health? Give some of these a try! We are always trying to engage in better practices and things that can help improve the way we feel, our health and how our bodies react as the year passes. Ingesting foods high in antioxidants is not necessarily a new practice, but one that has been getting a hyped notoriety lately for all its benefits. Antioxidants are, plain and simple, compounds produced by our bodies and that can be found on a wide number of foods that help inhibit oxidation and removes potentially damaging oxidizing agents from a living organism. Carotenoids, Lycopene and Vitamin C are just some of the most common antioxidants that you most likely consume on a daily basis. Protect against heart diseases, heart attack, stroke, etc. With so many antioxidant food benefits, it is easy to understand why the new hype has taken over along with the idea of adopting a healthier lifestyle, one that focuses on promoting our betterment and our quality of life. So, what are the highest antioxidant foods and can these be a part of a healthy, balanced diet? Well, the answer is simple: Foods high in antioxidants are actually low-carb, low-fat and an excellent source of much-needed vitamins and minerals, which makes them perfect as part of a balanced diet. Grapes: whether you choose red, purple or the black-blue ones, there are super loaded with phytochemical that fight heart disease and may protect you against cancer. Goji berries: also known as a super-food, these have been part of traditional Chinese medicine for over 2,000 years because they combat aging, reduce the risk of heart disease, and are rich in vitamins. 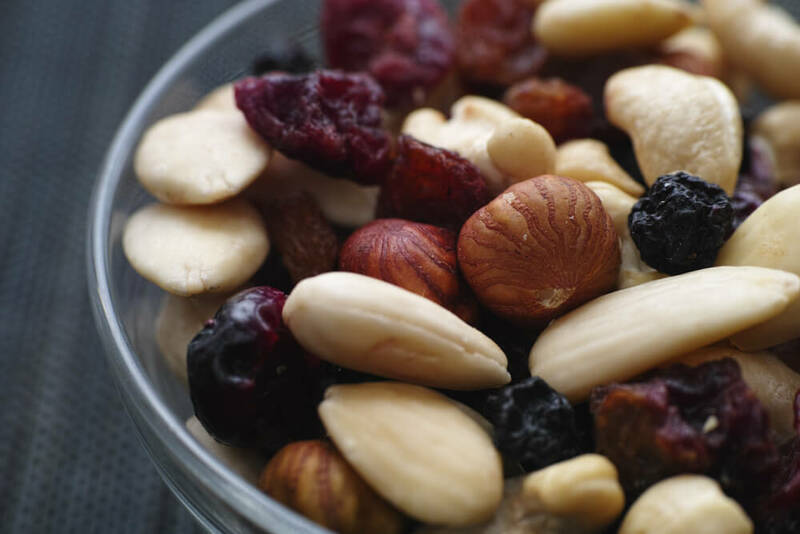 Nuts: as one of the most-balanced food in the Earth, they bring healthy amounts of good fat, contain omega-3s and provide a good amount of protein. These are great to lower your cholesterol and contain a unique set of powerful minerals. Beans: kidney, pintos, red… you name it! Not only are these packed in minerals and are a powerful antioxidant, they are also rich in zinc, bring a substantial amount of protein and are good for your skin. Dark Chocolate: this one should be at the top of the list at all times because is another superfood and one that almost everyone loves. Dark chocolate promotes reduced heart disease, works as an anti-inflammatory and helps lower blood pressure. Artichokes: these are nutritious, improve the health of your liver, serves to treat conditions such as jaundice and contain a good amount of fiber, which promotes a good digestion. Beets: these are great for promoting a good health of the digestive track, including the colon, lowering the risk of these type of cancer. They suppress inflammation and relieve pain caused by osteoarthritis. Red Cabbage: another powerful ingredient, this one not only reduces the risk of certain cancers and promotes better heart health, but it is also a great tool for strengthening your immune system. These are just some of the highest antioxidant foods but the list is low and delicious! Grab a couple of these ingredients on your next run and see how your body feels after a good meal.